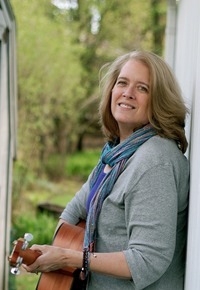 "Amy Dixon-Kolar is one of the great female singer-songwriters among us." "The feeling of lullaby and wonder fills her gorgeous vibrato. Listening to Amy Dixon-Kolar reminds us of why we need music in our lives. Go to one of her gigs, and be mesmerized by her beautiful writing and her stirring voice - you won't be disappointed." "What a beautiful voice and excellent guitar work. Love your treatment of 'Wild Mountain Thyme'. 'Now It's Time' is going to be one of my favourites too. Regards from the UK. Cheers, Jet Brennan"